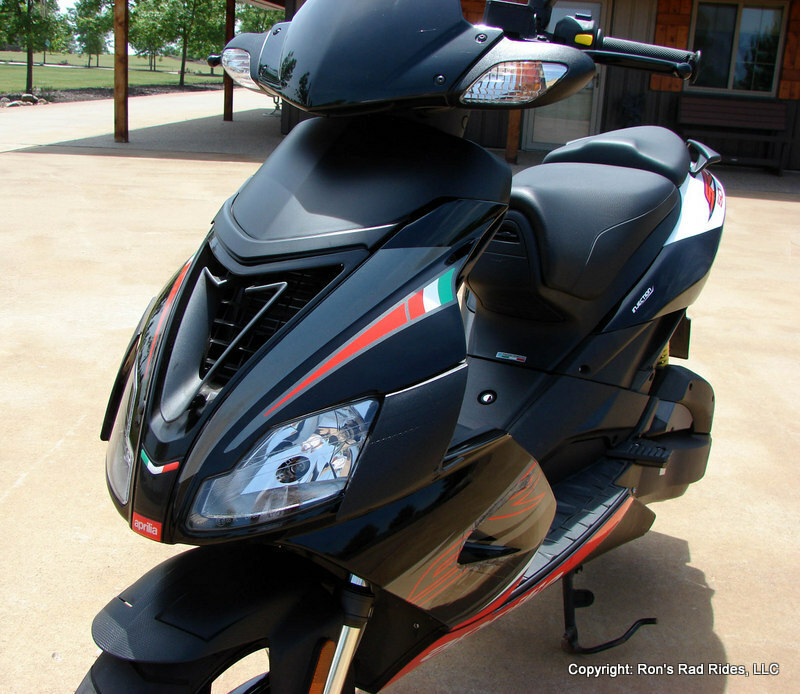 One-owner...up to 120 M.P.G...Peppy and sporty..!! This is a 1-owner with only 2900 miles and has always been stored inside. 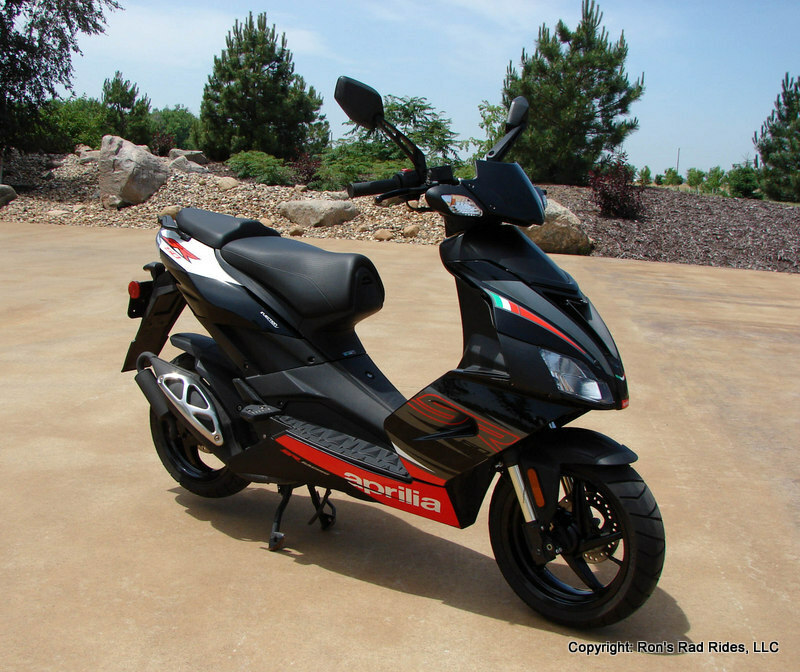 These are built in Italy, where scooters rule in the light transportation category. 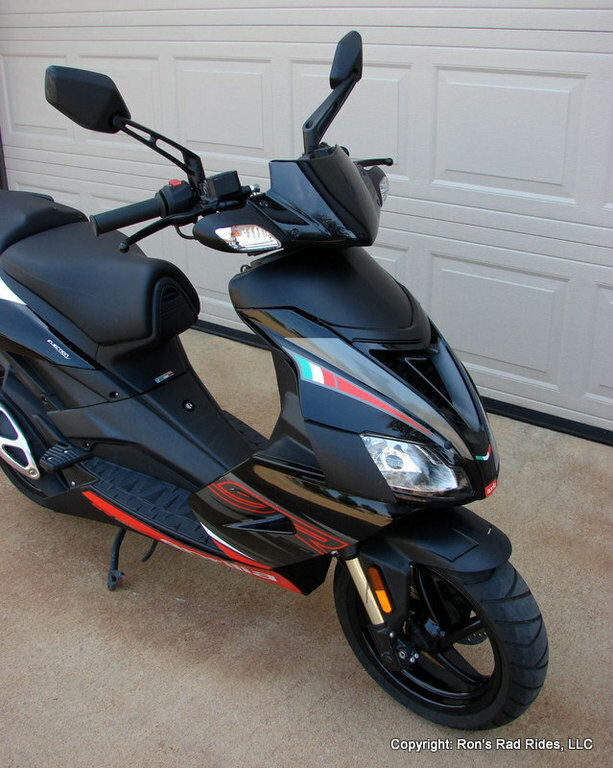 There really is no disputing the fact that the Italians are the best at scooter engineering and technology, simply because they have been building and designing them for decades and so many people use them as their source of transportation. 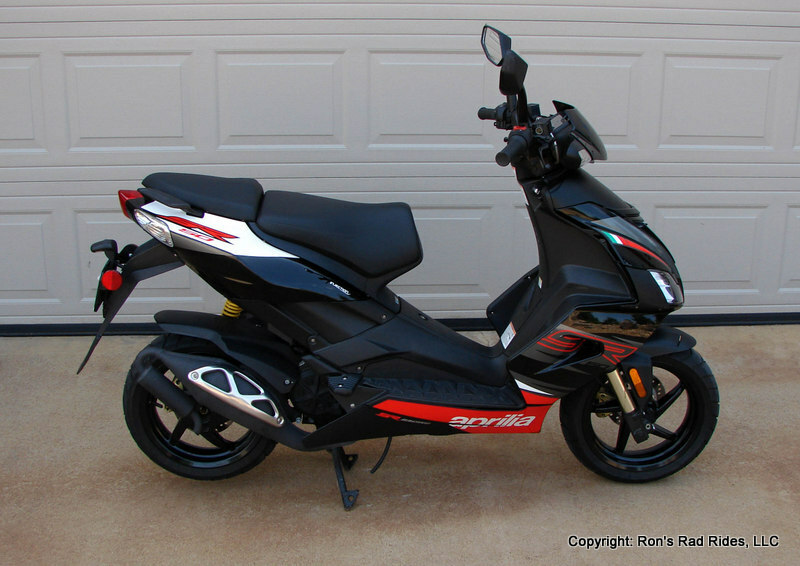 My brother-in-law bought this new for his granddaughter to ride to school. 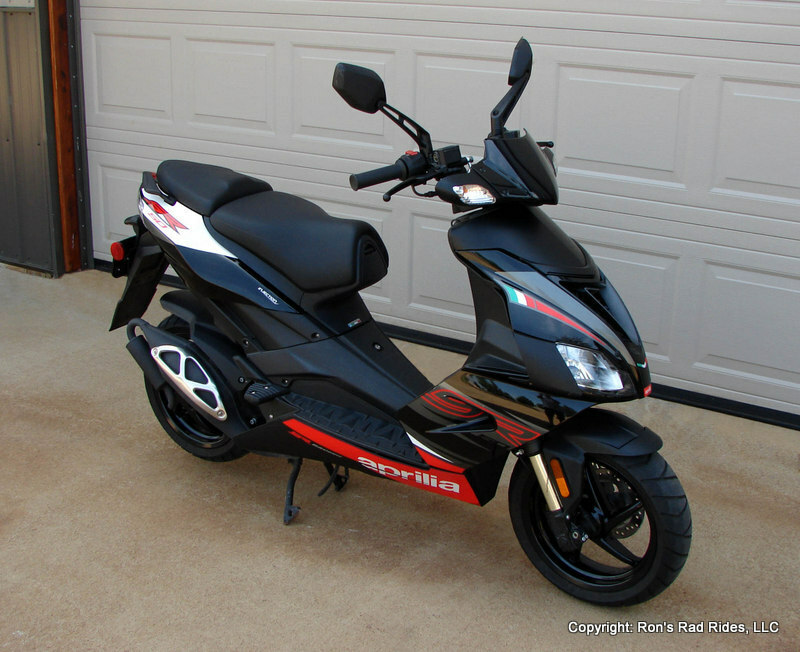 She loved it and had lot's of compliments on it's very sporty appearance..!! 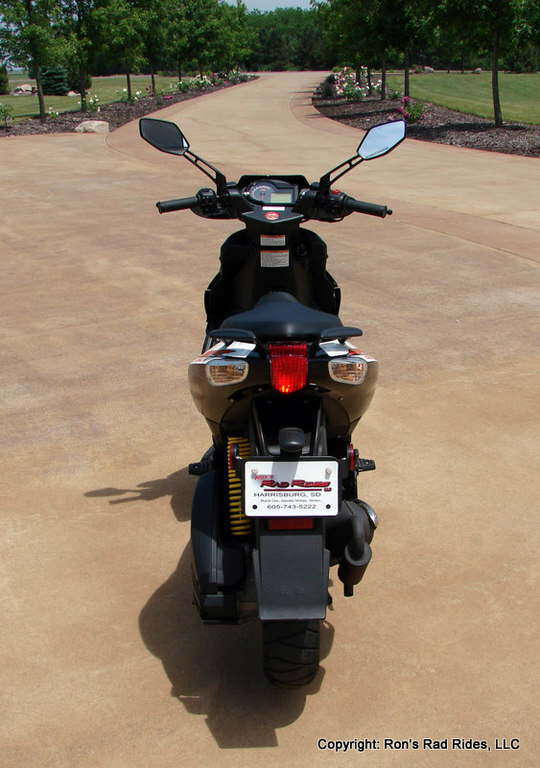 He purchased a very "tricked out" Yamaha Rhino from me and since his granddaughter had graduated from school and was no longer riding it, he asked if I would take it in on trade on the customized Rhino which I gladly agreed to do, since I thought it was a great looking scooter! 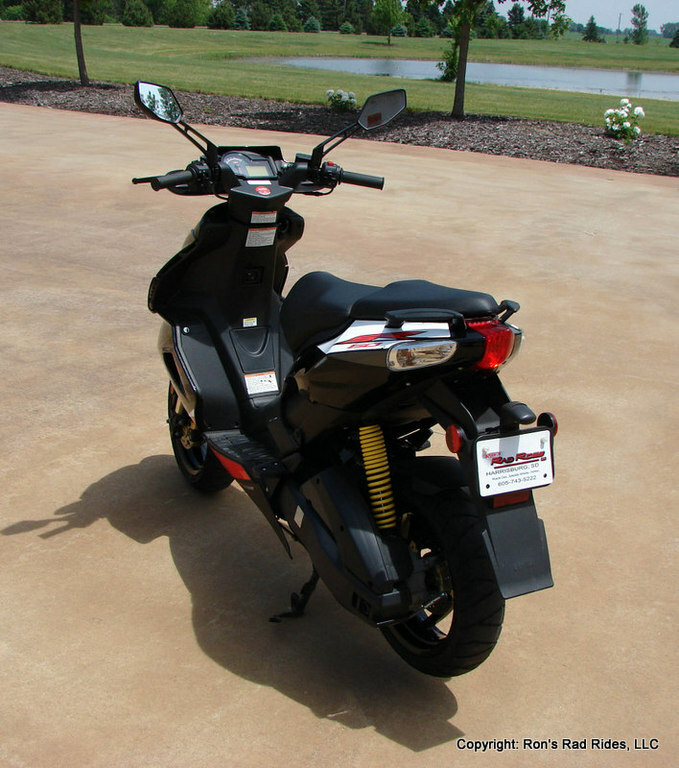 Since its European debut in 1992, the SR50 has been one of the most popular 50cc scooters worldwide, with over a million sold and a huge aftermarket community. 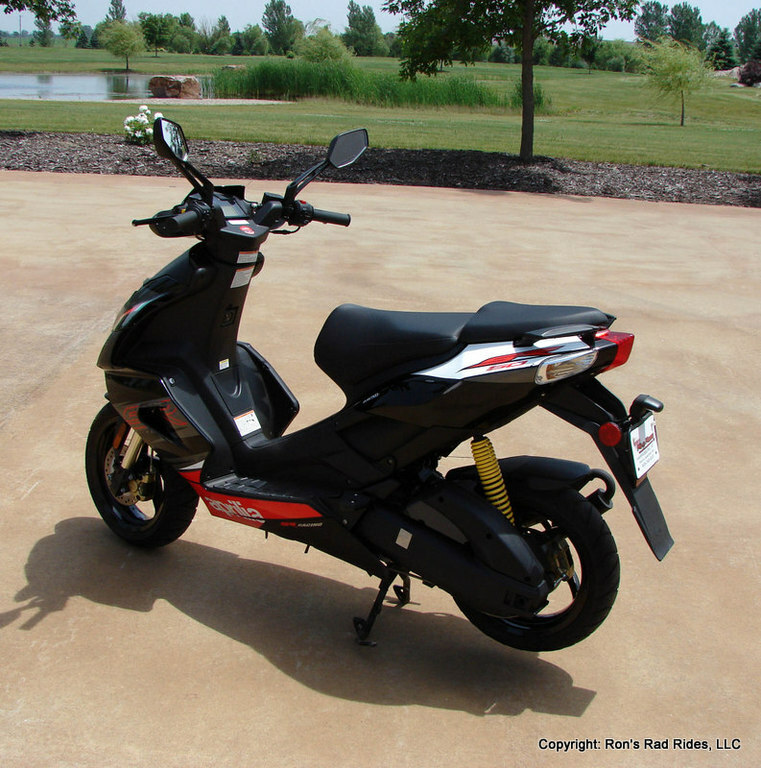 The SR50 brought advanced technology, sporty style and huge power (for a 50cc) to the scooter scene. 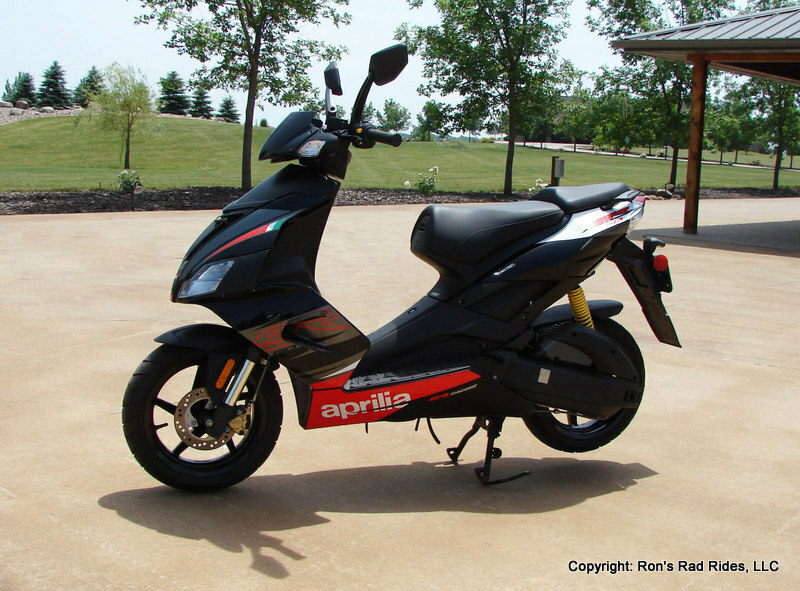 In North America the SR50 went on sale with Aprilia’s 1999 entry into the market and has remained on sale through two generations. 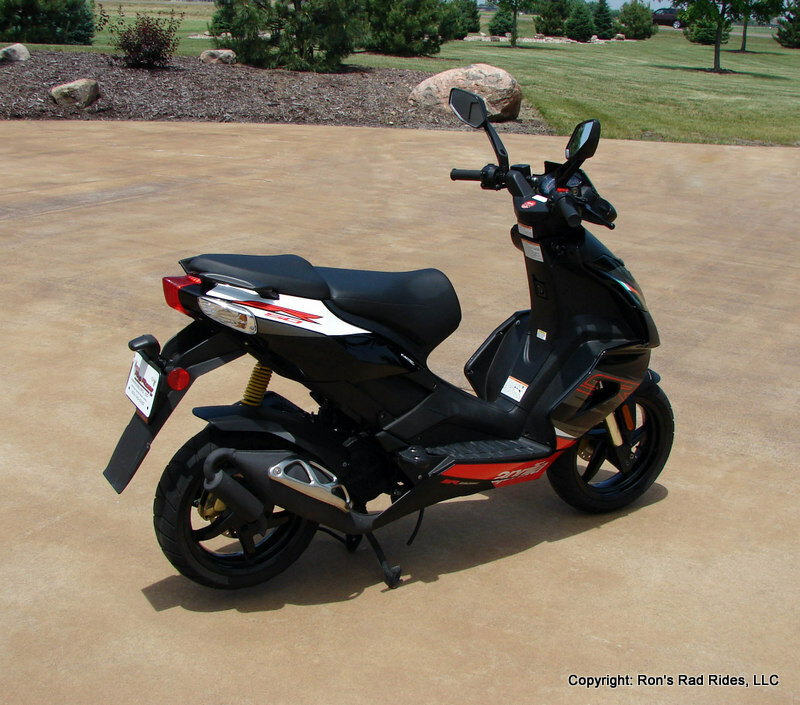 The SR50 was arguably the first "sports" scooter due to its styling inspired by Aprilia’s larger bikes. 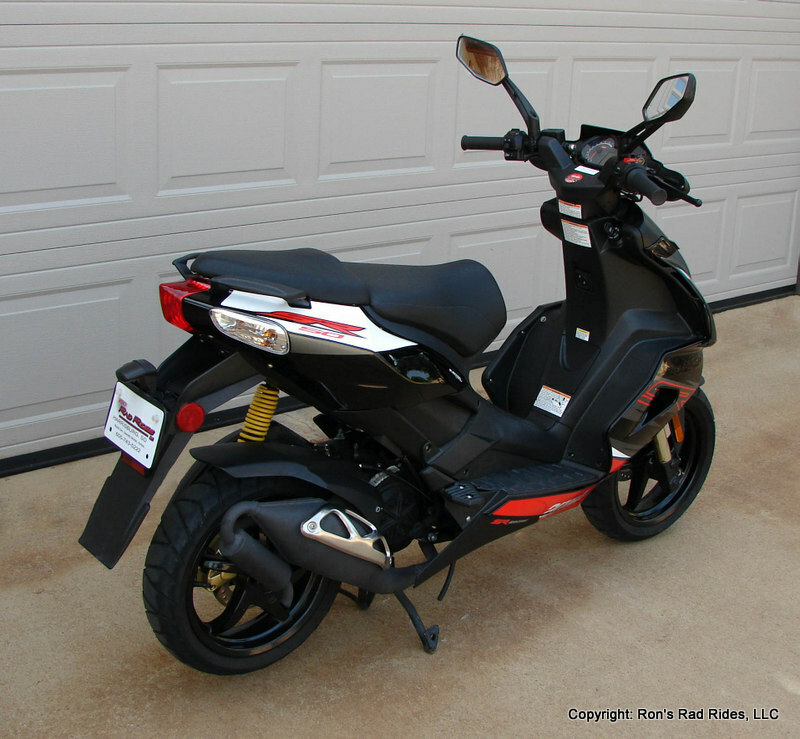 Other landmark firsts accomplished by the SR50 include the first 50cc scooter with 13” rims, first scooter with direct fuel injection and the first 50cc with disc brakes front and rear. 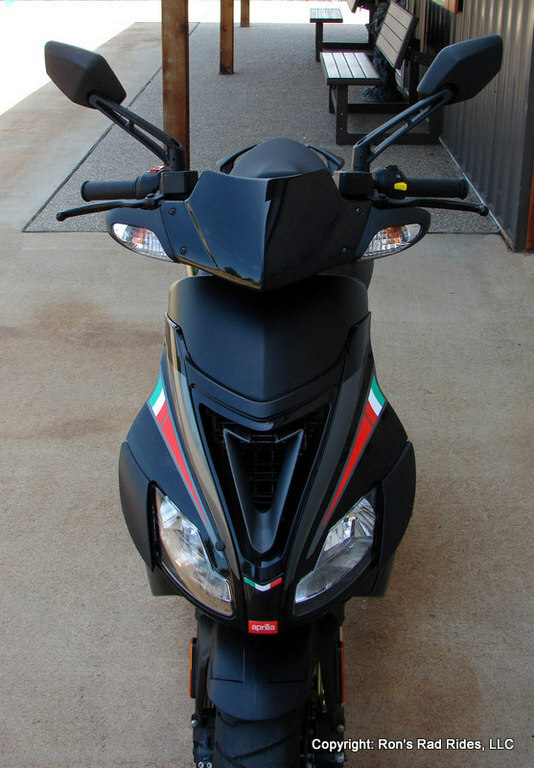 Aprilia also claims the SR50 was the first liquid cooled "sports scooter". 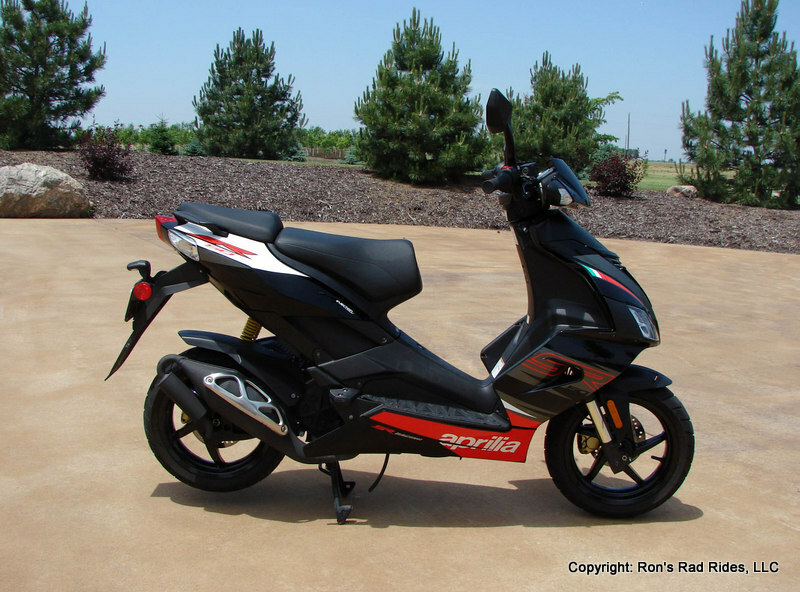 Regardless, Aprilia has poured a great deal of effort and innovation in the SR50. 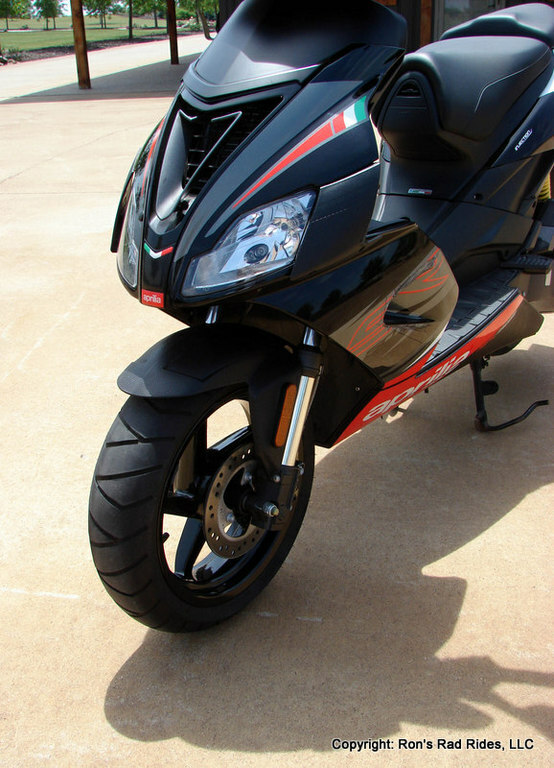 In today’s cluttered market of lower end machines, the SR50 stands out as a high quality machine for enthusiasts. 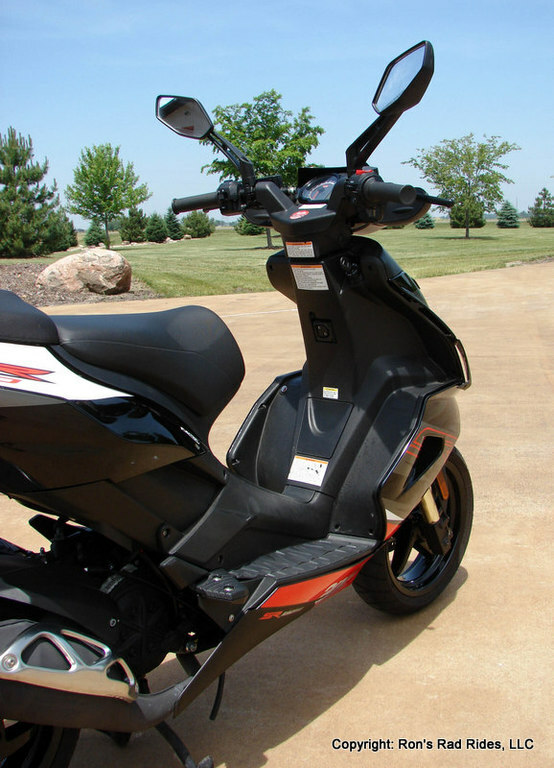 The performance-oriented suspension, tires, and engine are consistent with its styling. 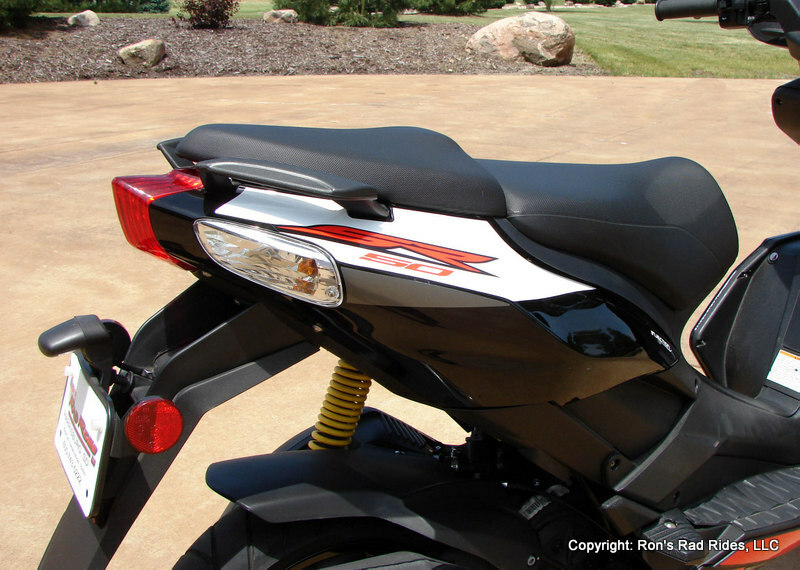 Colors and graphics are bright and race inspired. 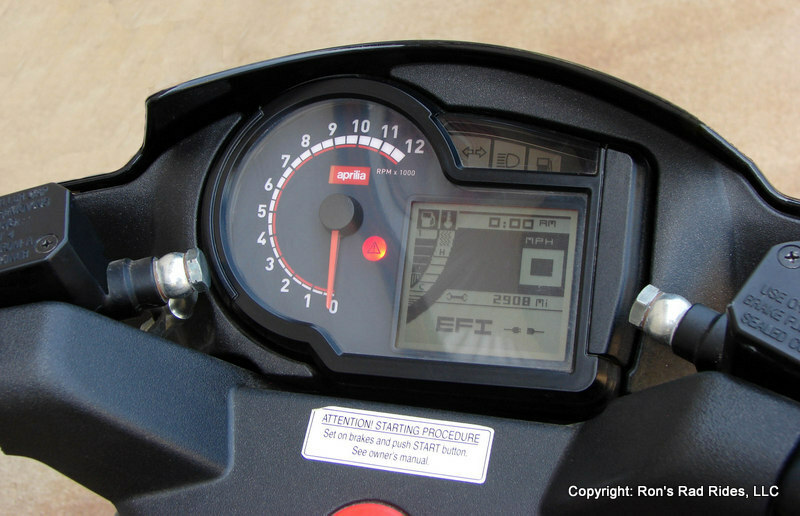 The digital instrument panel gives readings for speed, clock, odometer, trip counter, fuel level, coolant temperature and battery voltage, which is unusual for a scooter of this category. 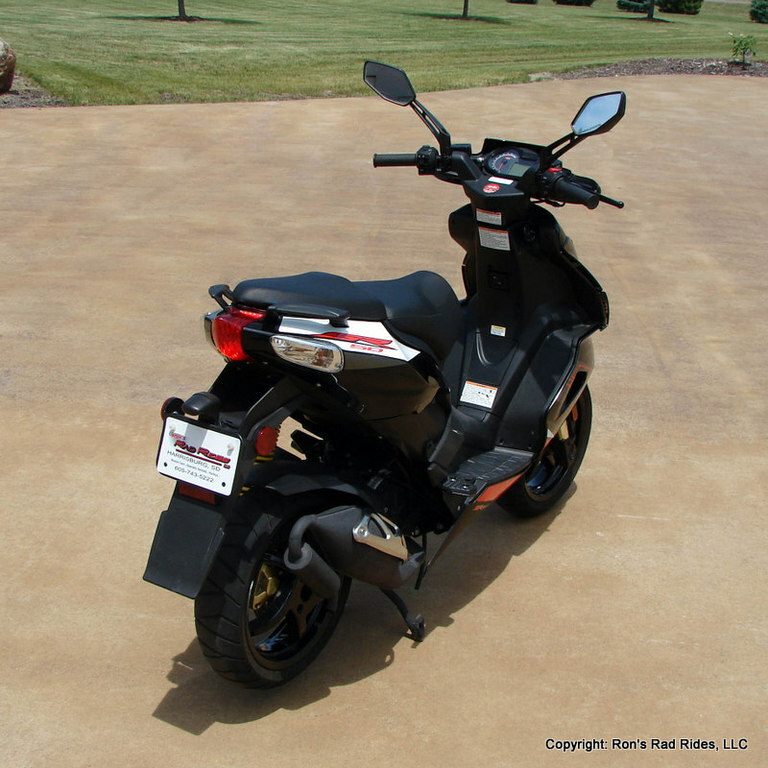 Probably the best thing about this awesome scooter though, is the fact that it will get up to 120 mph..!! And.., and it is still considered to have great acceleration for it's 50cc class. A lot of "bang for the buck"..! !